Ronald McDonald House Charities New Zealand creates and supports programmes that strengthen Kiwi families throughout their children’s medical journeys, ensuring they are better placed to cope and help their children heal during a difficult time. Ronald McDonald House Charities is held in high regard and evokes a strong support amongst the local community. Due to this high level of goodwill, volunteers readily participate in multiple initiatives to assist the charity; one of these initiatives with which Ray White Albany was involved in was a Cooking Night. They say that the kitchen is the heart of the home and nowhere is this more apparent than in an RMHC kitchen. Preparing a dinner for our families can be very rewarding for our volunteers and it is greatly appreciated by our emotionally exhausted families. RMHA run cook nights twice a week in two of our facilities. 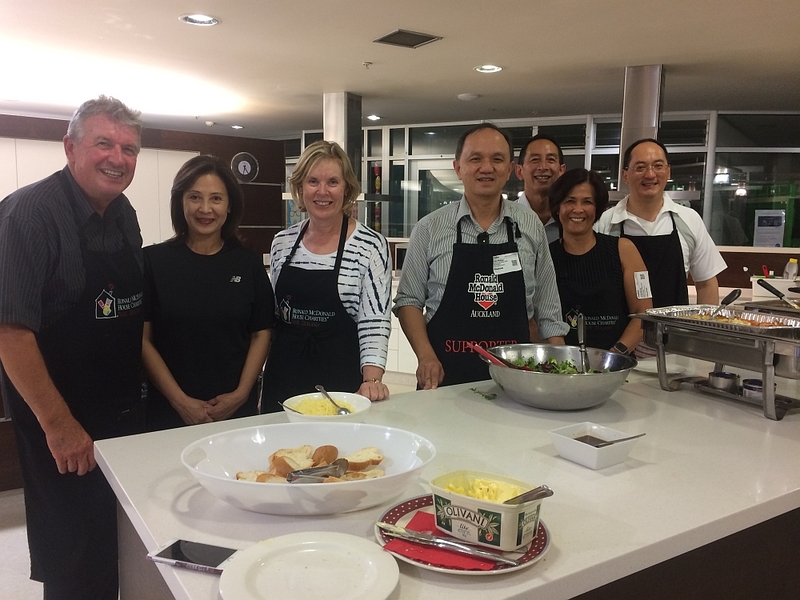 In April 2017, James Widjaja, as the Principal of Ray White Albany, together with Principals from other Ray White branches on the North Shore, cooked and prepared dinner for children and their families in the Ronald McDonald House, next to Starship Children’s Hospital.